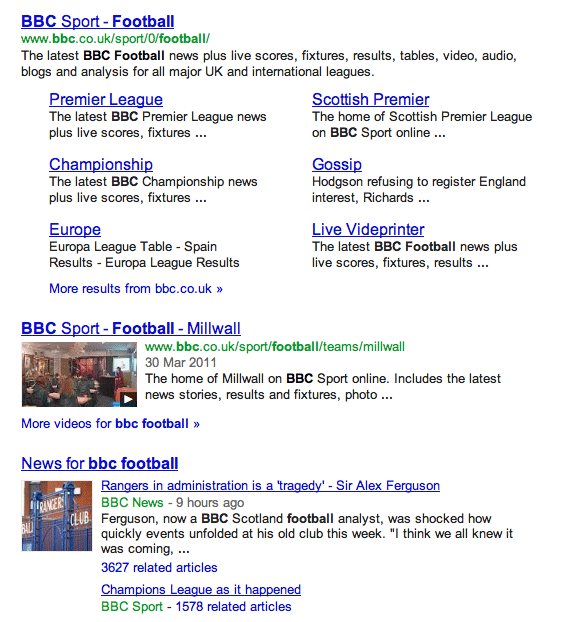 Why Is There One Google Search Results For BBC Football? 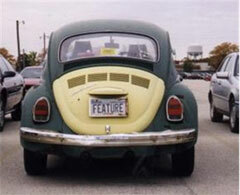 This comes up every now and then but you rarely see it discussed at WebmasterWorld. A search result that leads to very few or a single search result. WebmasterWorld administrator, Tedster, said "Seems to me that Google feels the user intention for this query is VERY strongly oriented toward the BBC's coverage of football. I think it makes sense, taken in that context." Do you really think this is done on purpose or maybe this is a weird Google bug. I can see the rational for both, but I really doubt Google will limit their ten search results on a page to one or three on purpose. Image credit to Cross The Breeze. Notice: I am pretty sure the comments below are not from Matt Cutts and are fake.